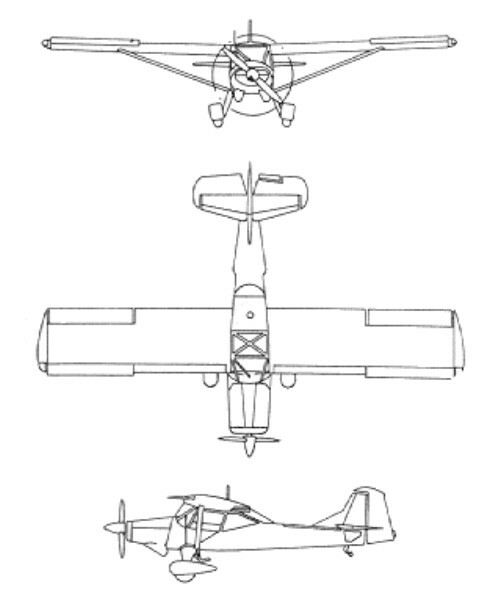 In 1948 the RCAF first obtained the Auster Mk VI, an improved, post-war model with a DeHavilland Gypsy Major engine, more fuel capacity and a longer undercarriage. The first of the Auster VI's served with 444 (AOP) Squadron at the Joint Training School (JTS), Rivers, Manitoba. The RCAF retired the last of their Austers in 1958. After taking the Auster AOP 6 and 7 from service, Beagle did buy them and refurbished them to civil use. They were sold to private customers as the A.61 Terrier. Auster 6B – a three-seat luxury version. 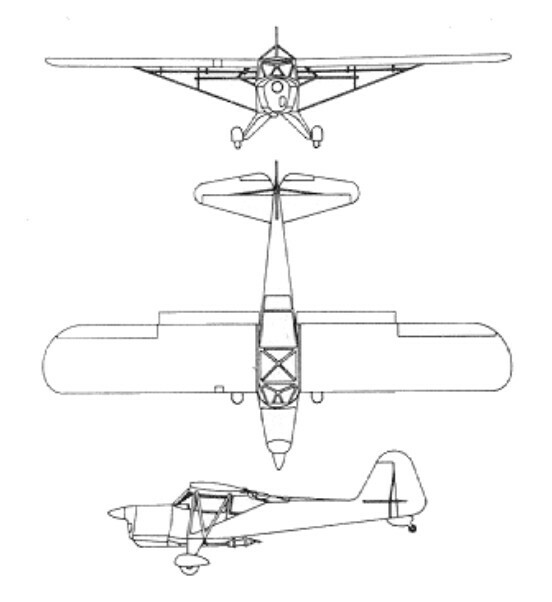 When the company became part of Beagle Aircraft in 1960, the Auster 6B was renamed the Beagle A.61 Terrier 1. Eighteen Terrier 1s conversions were built. The first conversion flew 13 April 1961 from Rearsby. In 1962 the Beagle A.61 Terrier 2 was introduced with a greater span tailplane, wheel spats and a metal propeller. First flight of a Terrier Series 2 was made on 25 April 1962. The type is a three-seat touring and training monoplane. 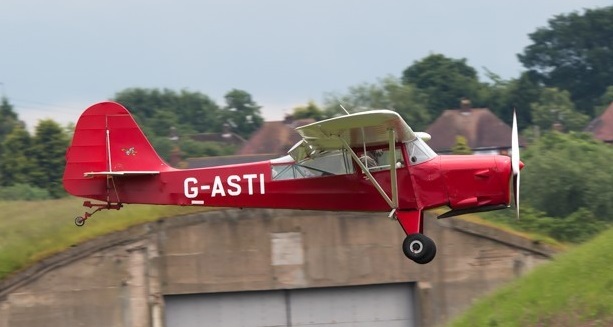 Forty-Five Terrier 2s conversions were completed at Rearsby. A small number of airframes were converted subsequently to this standard by other companies. One Terrier 3 powered by a 160 hp Lycoming O-320-B2B engine was essentially complete at Rearsby when Terrier production was stopped in 1966. 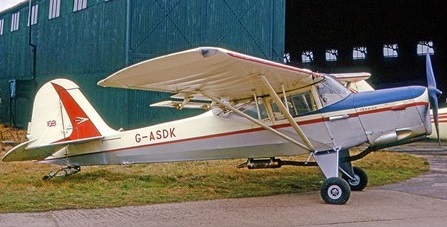 In 1967, an incomplete Terrier 2 was modified to this standard by British European Airways engineering apprentices and registered G-AVYK. The Terrier was not an economic success for the manufacturer as it was found that more man-hours were spent on rebuilding each aircraft after its military use than were spent in building the new aircraft for the Army. Examples of the type were purchased by owners in the United Kingdom, Eire, Germany, Netherlands, New Zealand and Sweden. 23 Terriers were registered in the UK in 2013. Of a total of 380 of AOP6 built, less that 100 were converted to Terriers between 1946 and 1953. The 6A Tugmaster and Terrier 1 were also rebuilt Auster Mk 6, but to lower standards. The AOP.6 was developed from the Mk 5 with a modified fuselage and increased all-up weight and powered by a Gipsy Major 7 engine. Equipped with all-metal auxiliary aerofoil flaps below and behind trailing edge, and wings strengthened to take two 52.25 litre fuel tanks, the pilot and observer seated in tandem. Lengthened landing gear struts allowed a larger airscrew. Production completed in 1949. The T.7 was a two-seat trainer which could be quickly converted to full AOP standard. Equipped with side-by-side seating with dual controls, a third seat could be fitted. Engine: de Havilland Gipsy Major 130hp. Engine: de Havilland Gipsy Major VII, 145 hp.